Fortunately, many of these obstacles can be overcome through collaboration. 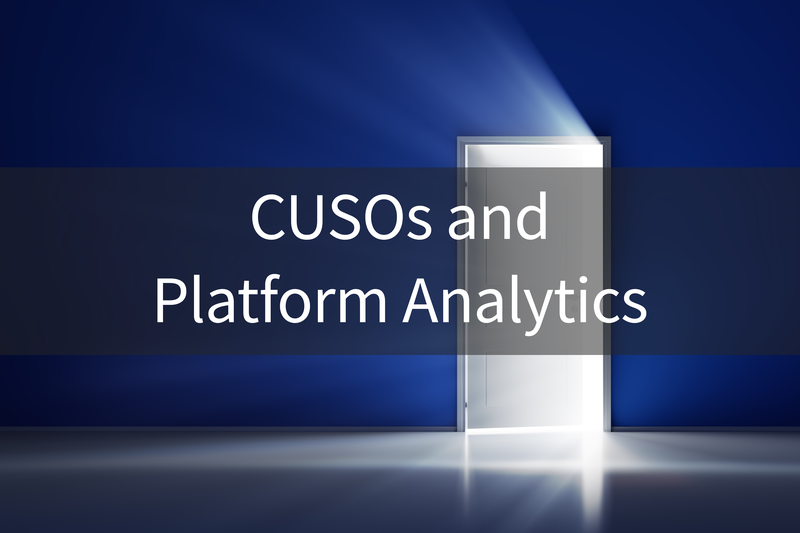 Rather than every credit union reinventing the wheel to build their own data warehouse and write the same reports, a CUSO solution allows credit unions to take advantage of a standardized data model that is agnostic across all systems. The greatly improves ease of collaboration, sharing, and benefiting from overall success of the community. This concept is similar to how you use your cell phone. With a standard platform such as the iOS or Android, there is no need for each person who wants to know the weather forecast to build their own weather applications. If one person or organization builds an app on the platform, it can easily be shared and utilized universally. The same should be true with analytics and reporting for the credit union industry. The CECL Effect – How the new credit loss rule will alter financial analytics: Joe Breeden of Deep Future Analytics discusses the future of loans in relation to the upcoming CECL regulations, and how to turn predictive and prescriptive analytics into actionable data. From Questions to Answers: Becoming a Data-Driven Organization: Brewster Knowlton of the Knowlton Group joins John to discuss data driven organizations, what defines a true data warehouse, data integration, steps to becoming a data-driven credit union, and football. Sorting Socks: A Data Automation Conversation with Graham Goble: A conversation with Graham Goble on how BankBI provides SAAS solutions to a geographically diverse client base, the importance of automation, and his work with microfinance organizations.